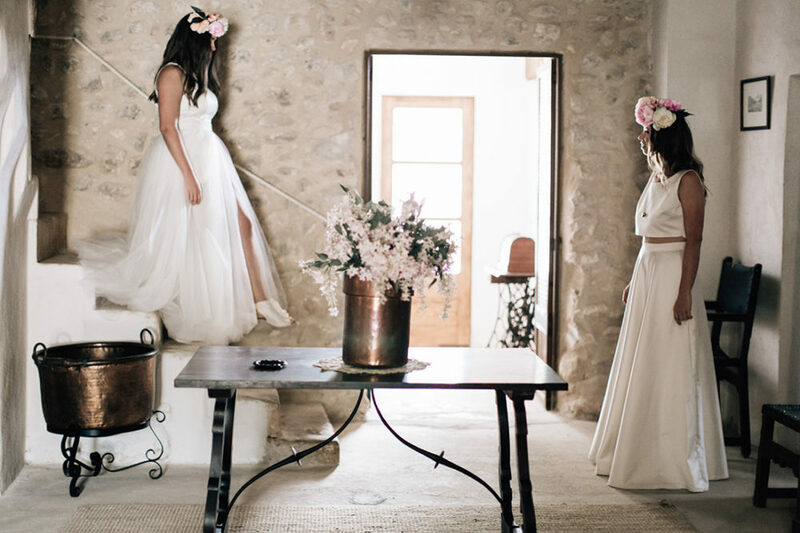 So bride and bride, Pau & Alex are just a little bit adorable aren’t they. 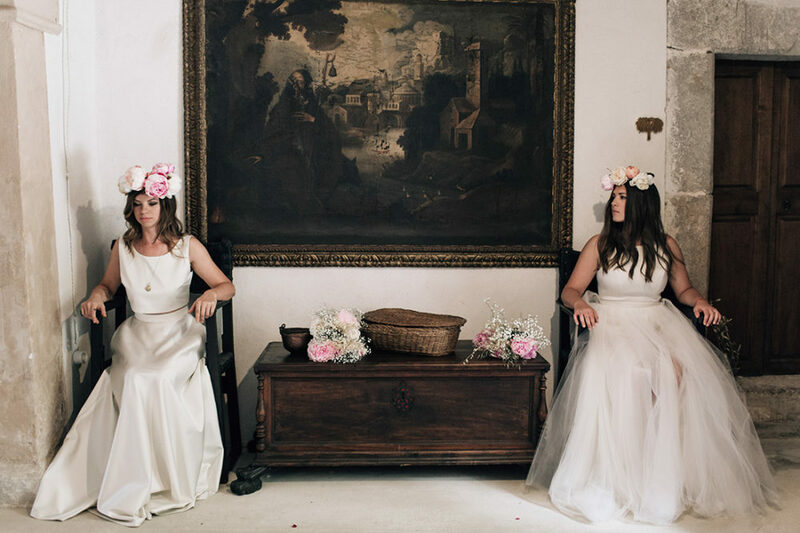 Both looking absolutely breathtaking in gowns by Marta Planella, beautifully complimenting one another, and tying their looks together perfectly with matching pink peony flower crowns. 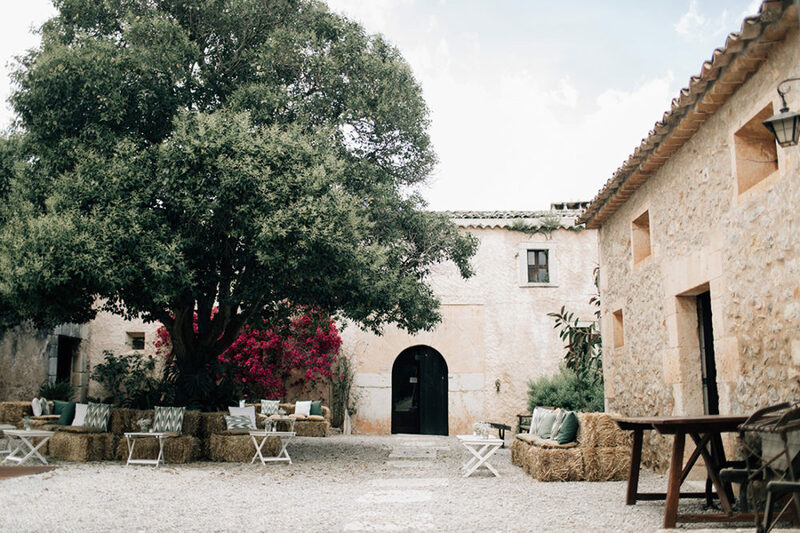 They chose Binissatí venue in Mallorca to say their I do’s and it’s about as dreamy as they come. 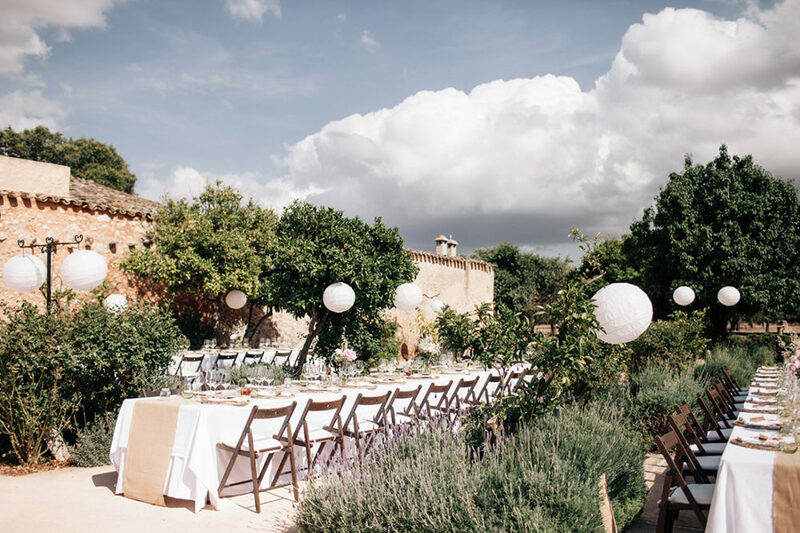 With a gorgeous outdoor area for the nuptials, a drinks reception in a courtyard, and then an intimate al fresco reception. Plus even more big bloomsey peonies to decorate. 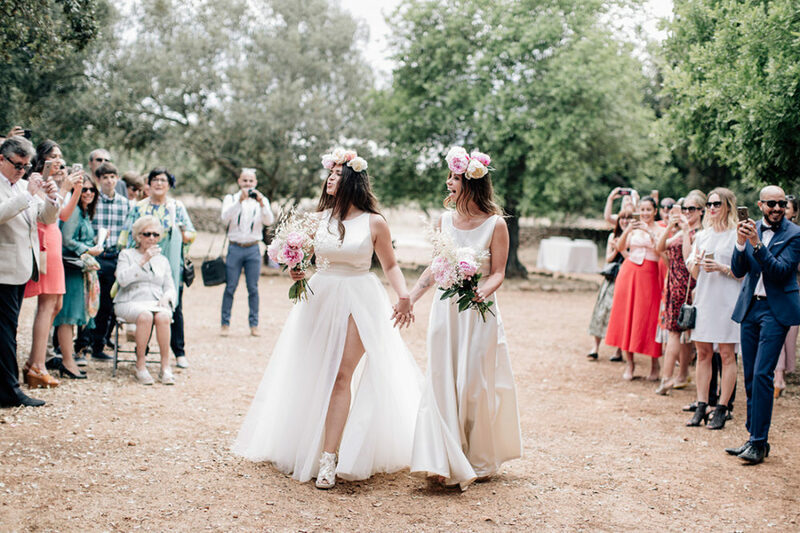 Pasión Eventos certainly made sure they planned a sophisticated but fun celebration for these two brides and all of the magic and love was captured by Marta Kowalska Photography. Alex and Pau met in London where they worked. Alex is Spanish and Pau is polish and the felt in love dancing salsa at a bar. They had beautiful moments together: music festivals, holidays and of course, taking care of their kitty Chufi. 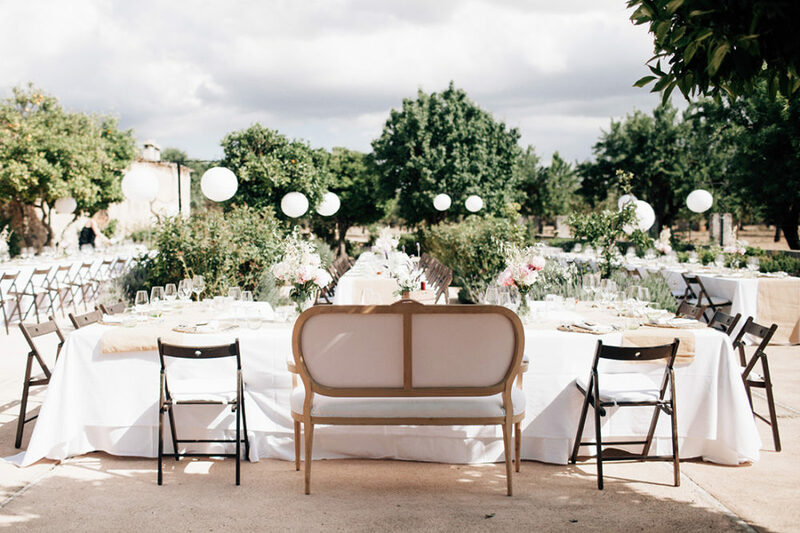 Pau the Bride: We were in Sevilla spending our last holidays. Alex has everything planned but of course, I didn’t know anything. We went to a cool restaurant and before the desserts she change my spoon to another where it was wrote . Will you marry me? And then she gave me the ring. I didn’t think twice and I said yes!!! Just be honest and be yourself. We think that pretending to impress other people is a big mistake. 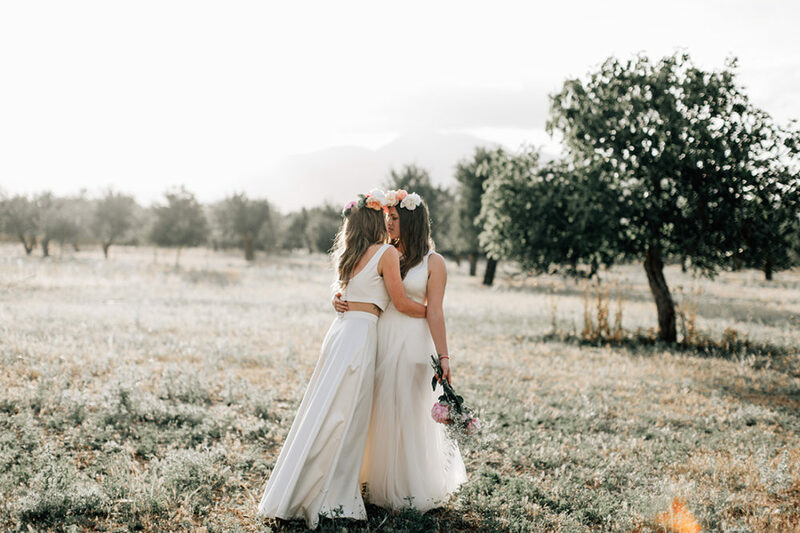 It is your day and you have to be what you are as a couple. Also, sorround yourself with good profesionals is really helpful. 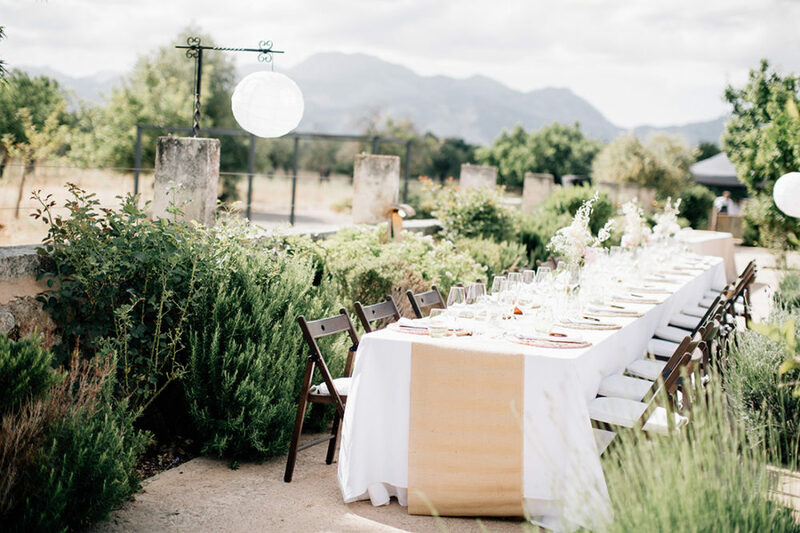 We were so happy to find great suppliers. Also, don’t let the stress arruined your day, just breathe and think everything is going to be perfect. And so will be !!! Best day of your lifes for sure.